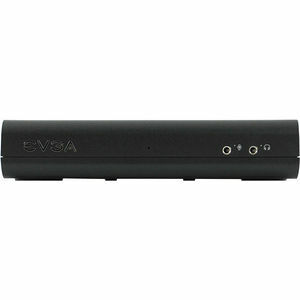 EVGA's new VMware-certified PCoIP zero client for cloud computing. Reduce your total cost of ownership, free up valuable desk space, and eliminate the need for provisioning, maintaining, and supporting desktop PCs, while providing a true, uncompromised PC experience through a lightning fast 1Gb Fiber Optic connection. The EVGA PD05 is a true zero client that is specifically designed with a small footprint, low power consumption, centralized virus protection, Operating system versatility and full USB support. Centralized computing is now a truly viable option for all user types, and is accessible locally via 10/100 Ethernet SFP module, 1Gb fiber SFP module, or remotely VIA WAN.